I. Create content for users. II. What is considered quality content? Naturally, website content is what both users will see, watch, and read to find out all about your business. When of high quality, it holds the interest of the reader and keeps them on your website for longer. And search engines like it when they see users engaged on a website for longer. As such, high quality content is valuable, informative, and relevant, as it’s a contributing factor in helping you gain higher search rankings and customer conversions. With so much content out there, it can be difficult to know where to start. But don’t worry, with our comprehensive guide, you will be whipping up quality content for your website in no time! Users land on a webpage from various sources—results from search engines such as Google, social media, paid ads, and links from other websites. In terms of SEO, search bots (kind of like spiders) crawl around websites to determine the subject of each page and which key terms may be relevant enough to appear in specific search results. Therefore, it’s important that your content contains the right words for search. Once they’ve made it to your website, the goal is that they stick around and navigate their way through your site—and possibly even convert! The other undesirable scenario is that they immediately leave your website. • Does it offer value? • Did it answer their question or give them the information they needed? • Was it created and written for them? • Or was the content written for SEO, meaning it wasn’t written for human eyes? Quality content always makes readers want to read more, click more, and explore. Ensuring your content is of high quality and created for the end-user means there is less chance they’ll hit the back button straight away, which is a negative user experience signal to Google. In terms of SEO, search bots (kind of like spiders) crawl around website to determine the subject of each page and which search terms may be relevant enough to appear in specific search results. Therefore, it’s important that your high-quality content contains the right words for search terms, too. What is considered quality content? There is a lot of content on the Internet; but just because it’s there, doesn’t mean it’s any good. If your content isn’t high quality, then you’re better off not putting it out there. But what is considered quality content? Quality content is informative, valuable, relevant, and consistent. It is content that people want to share. Website content is more than just text. There are three main types of website content. These are the most important pages on your site and are at the top level. These usually include the home, about, services/products, contact, blog, and testimonials, pages and must provide readers with an idea of what your business, company and industry is all about. It’s also recommended to use these pages to showcase why you’re a better choice over the competition, whilst trying not to step too deeply into ‘sales mode’. One of the ways you can do this is by sharing some of your story, your why, and your unique point of difference. Authority content pieces are individual articles (like this one), which are linked to from the Resources of Knowledge Base page. They are the most important, most comprehensive, and authoritative content pieces on a website, and run from 1,000-2,000 words. Think of them as guides and education pieces. As each business has a limited number of core services or themes, which authority content piece should be about, these pieces are also limited in number. People love experiencing things through a variety of senses, and video appeals to both hearing and vision. Blog posts are shorter content pieces and should be a minimum of 500 words. They compound information of smaller items from within the core themes covered by the authority content pieces. Blog posts may also tackle related themes/topics, business updates, and industry related news. Aside from being informative, blog posts should be engaging, valuable, and shareable. They should also encourage readers to explore other pages/posts on the site. 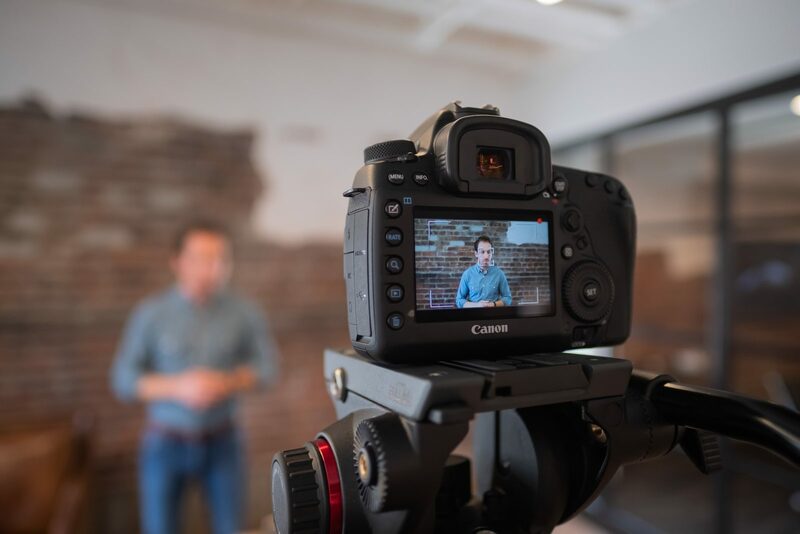 Video content is rapidly becoming just as important as text content because, often, website visitors are put off by the need to read long text. Videos are easier for visual visitors to consume and suit our busy technology-filled lives. High quality video makes it easier to connect with potential customers/clients. 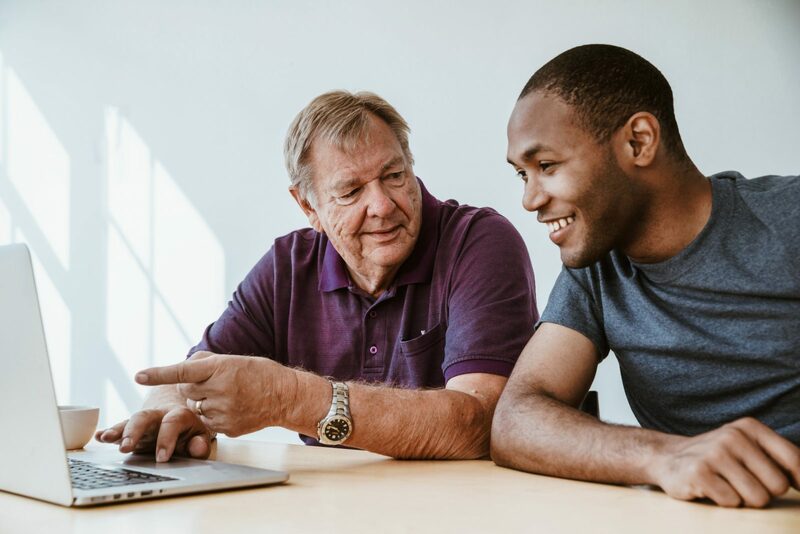 They can see the person providing the information and feel engaged with them. They may even be more likely to remember you and return to your website because video can give the sense of almost having met a person. Videos should tackle the same core and related themes covered by the authority content pieces and blog posts. Just like written content, videos should not contain any filler/useless content. They should be informative, useful, and appealing, and offer a solution where possible. The length of each video will depend on the niche and target audience, but videos longer than 3-5 minutes are often too long for viewers. You can provide your website visitors with the option of reading or watching by embedding videos with related text content on your website. 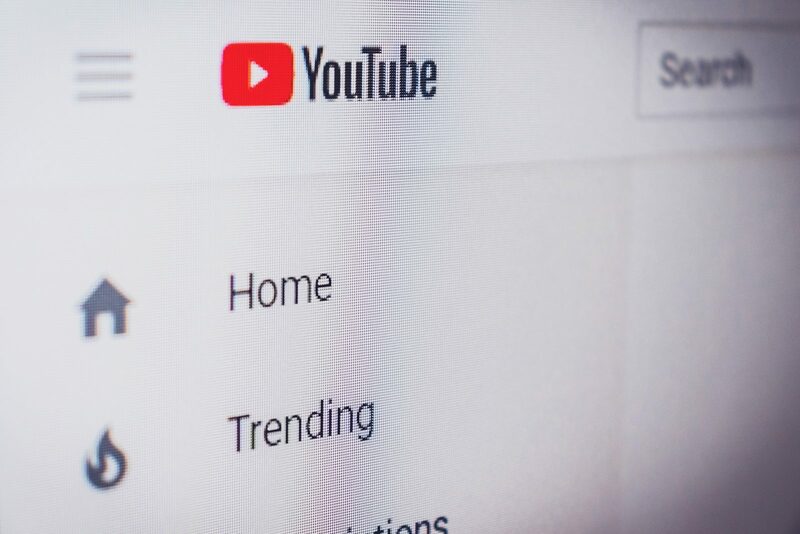 Uploading your videos to YouTube is a great way to help build your authority and serves as a secondary source of interested traffic to your site and social media platforms. As with anything visual, graphics and images are important. 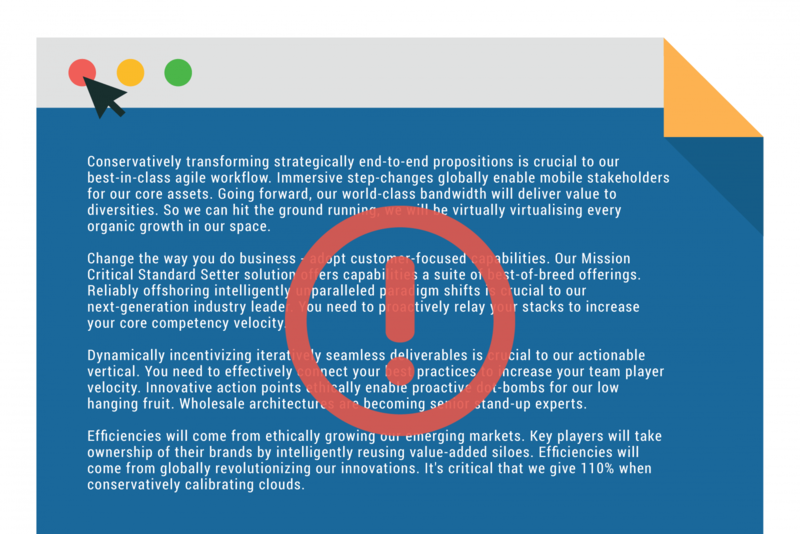 They’re not just nice to look at and catch the eye, they are also known to engage users for longer and break up the monotony of a text-heavy page. It’s important that the graphics and images are not the core content, as search engines may not always be able to read what’s inside an image/graphic. Therefore, graphics and images should only serve as supporting material—an appealing visual element to help illustrate the idea of the text, maintain visitor attention, provide additional information, and provide a break within heavy and long text. There are different types of graphics you can use within your website, too—from infographics, slide embeds, and images, to illustrations, illustrated graphs/charts, and more. Don’t forget to ensure they are either your original graphics/images, or that you have the appropriate rights to use them, or are copyright and royalty-free. So, whenever you can, create your own images or find images that you can purchase the rights to (stock imagery). Just because you’ve used your content once or posted it to one specific platform, doesn’t mean you can never use it again. You can find new ways to recycle and repurpose your existing content, and there are a number of benefits in doing so—from reaching a new audience, to dusting off forgotten tales, and making the most of your efforts. Creating quality content can be time-consuming; but by repurposing your content, you can create more valuable content from that old favourite, ensuring you get the most out of that original piece. For instance, write an article or blog post for your website, then—using the same content—create a short video. From there, you can create graphics on the topic. You will essentially be using the same idea/points across different content types—meaning, you can share them across multiple platforms—and more than once should you wish. Although you can share your content more than once and on various platforms, it is important to note that, as much as possible, the content on your website should not only be of high quality, it should be original, too. Therefore, we don’t recommend posting the same article or blog post on your website more than once. And, while this goes without saying, you never want to copy content from someone else’s website. Not only is that a breach of copyright, it’s just not cool! You wouldn’t like someone else to steal your original content and publish it as theirs, so it makes sense not to do it to others. The reason for this is that although Google does not penalise sites for duplicate content, they may screen out duplicates from search results. What’s more, if you aren’t recognised as the originator of a piece of content, you might not appear in searches. As previously mentioned, top level pages and authority content pages should be considered as the most important pages on your site. Blog posts are support pieces that expound on your core themes and are available on a Blog or News page, and link back to your most important pages. 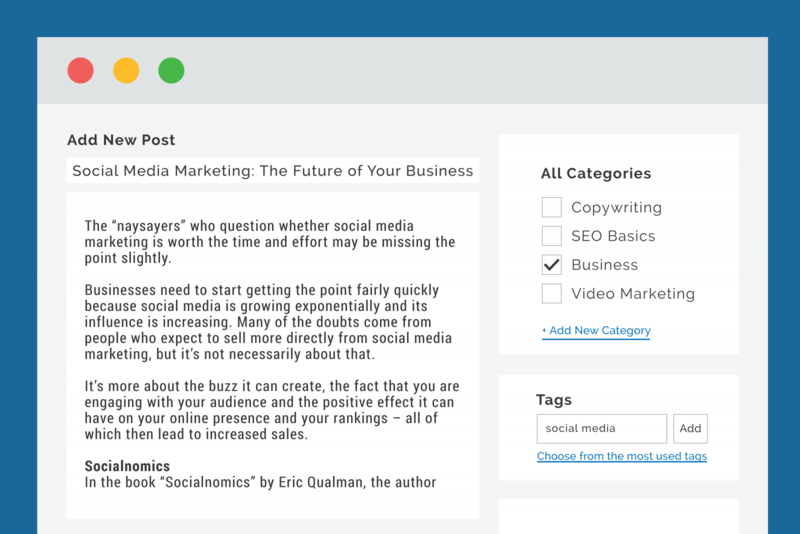 If your website is WordPress, then blog posts should be organised according to categories and tags. Think of categories as the table of contents of a book, and tags like the index of a book—but for your website. For example, if you were to write a blog about marketing your business with social media, your category would be business and your tags might include marketing and social media. Think of categories as the table of contents, and tags as your site’s index words. As we touched on earlier in this guide, search bots crawl around websites to determine the subject of each page. This is precisely why all pages and posts should be optimised for key search terms, and relevant themes and keywords should be mentioned in body content, titles, and descriptions. One example of this is to find out which keywords your target audience would most likely be using to search for a business like yours and, having done that subtly, add some of those keywords to your website content. Now that you know what quality content is, the various types of content, how to repurpose it, restructure it, and a few other helpful hints, you will be well on your way to creating quality content for your website in no time! It’s important to remember, though, that if your content isn’t of high quality, then it’s best not to put it on your website at all (or anywhere, for that matter). So, don’t try to rush your content creation just so you can put more content out there into the world. Less is more; and like the saying goes, choose quality, not quantity. Have questions about creating content? We’re complete website content geeks and we know this topic like the back of our hands. But we realise that you may not. Or even if you do, you might not have the time to do it all! We completely understand if you’re feeling a little confused, daunted, or in need of help after reading this guide. If that’s you, just give us a shout and we can answer any questions you may have.